We dart through nighttime waters, close to the sand ridges along the bottom. I clutch Hvrēssē’s hand in mine. In our wake, alluvium swirls up, and then drifts down to the ocean floor. A pattern will form and be washed away, form and be washed away with each wave or tail flick. The vial of blood in my other hand flashes silver in the moonlight. The pull of land sings like a tsunami from the palm of my hand all the way to my beating heart. Hvrēssē grins at me, sharp teeth and delight. We swim faster until we feel the water around us change. It grows lighter and freer of brine. The river current ripples through our hair and over our fins. I admire her sense of urgency. Admire the way her pale flesh melds into the gray of her tail. The dark stripes that almost go all the way around but leave her underside gray like the stormy skies far out to sea. Like home. My muscles burn as I try to match her powerful strokes when she dives into the fresh water. It’s warm and light. Sweet and deadly. “Get out your knife,” I shout above the sound of the river fighting against the open sea. It’s no secret that one of my favorite YA novelists is Holly Black. Her Modern Faerie series changed so many of my perceptions of what YA could be—definitely for the better!—and Valiant, in particular, was incredibly moving for les raisons personnelles, as the French say. The world-building in her Curse Workers trilogy was fresh and innovative. I couldn’t wait to read her take on vampire lore. As a teen, I inhaled vampire books. Basically, I’ve never outgrown them. The world-building of Coldest was first introduced in a short story of the same name published in the Eternal Kiss anthology in 2009. I loved the story because of the characters, but also because of the world. I wanted to know more about Matilda, so when the novel was announced I was sad to learn that Matilda wasn’t the main character. To be fair to Ms. Black, Matilda’s story was finished. I just wanted more. Coldest delivered, and I enjoyed Tana’s story just as much—maybe more than?—Matilda’s. In the world of Coldest, when you’re bit by a vampire, you turn Cold. You’re not undead until you drink your first drop of human blood, but you crave it over everything else. You would eat your kid and not even blink. Then you become a vampire, and there’s no turning back. However, if you’re strong enough (and locked up long enough) to resist human blood, the virus will run its course and you’ll remain human. 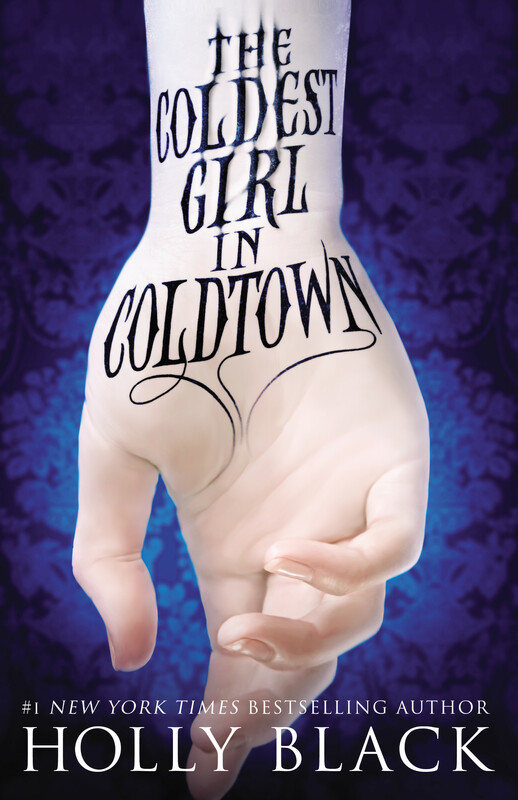 Coldest is Ms. Black’s longest published work to date at 419 pages in the hardcover version. There are chilling flashbacks of Tana’s childhood (her mother went Cold, was locked in the cellar by her father, convinced Tana to let her out, and she bit Tana. I was a little unclear if the bite was deep enough to infect her or not, but the bottom-line is that she survived). The vampire, Gavriel, gets to narrate his own story as well. I loved the Russian flashbacks! One of my favorite chapters, however, is not from Tana’s or Gavriel’s point-of-view. It’s Chapter 14 by Midnight; a blog entry on items you’ll need to bring to Coldtown. I sympathized with Midnight, and I remember so clearly what it was like to be wrapped up and obsessed with something. If Coldtowns did exist, especially when I was a teenager, I would have been involved on the boards. I would have watched the live feeds of the Eternal Ball. I might have rooted for the vampire hunters, but chances are I’d be a bigger fan of Lucien and his lot. This book is built on vampire lore dating back hundreds of years, but it never feels stale. These vampires are burned by the sunlight. They can be staked. They might be beautiful and exotic, but they are predators; and as a reader, I never forgot that fact. There are strong parallels to the short story, and it was delightful to see how Ms. Black expanded the world. How she created a handful of characters that I rooted for or against (vampire and human alike). The newer lore (21st century new) she played was exciting too. In this world, reality television still retains that voyeuristic nature, but some of these characters are lured by it while others are repelled. It’s a fascinating fictional take on current reality shows and the public’s reaction. Anne Rice wrote Interview with the Vampire as a short story. It was expanded years later into a novel. One of my Cimmerian Tale aspirations is to write something that starts here as a short story into a novel as well. I only hope I’m a quarter as successful as either Ms. Black or Ms. Rice. What are some of your favorite short stories that have been elongated into novels? I was swimming leisurely toward the ice when it happened, following the patterns in the cracks with my eyes and spinning myself in dizzy circles with my tail. Breaking season wasn’t far off; soon the ice would be patchy, and mothers would surface with their new calves for a first breath. I kept an eye out for shadows above and a surfacing hole. It had been about eight hours since I’d come up for breath, and I didn’t want to waste energy breaking a new hole. Surfacing holes were also dangerous places: Sometimes birds dove in for fish, or seals or bears lunged through. I had seen my wakefriend, Nela, attacked by a bear when we were just outgrowing the pup stage. She had scars that ran like ice fissures from her shoulder to her belly and across her face, leaving her blind in one eye and a lopsided swimmer. As I gazed at the blue and green ice above, the hollows where mosaics of bubbles gathered, I saw odd shadows. I flipped onto my back and paddled my fins so that I could get a better look, stifling an exhale that would send up a new stream of bubbles. The shadows moved slowly, like a stalking bear moved. But there were only two dark spots, oblong in shape, instead of four round ones. And the creature making them was nearing a seam in the ice. There was a groaning sound as the creature’s weight caused the ice to shift. I bit my lip, and a gush of bubbles drifted up. My dense down hair stood on end as they came to rest with soft noises against the ice. The shadows stilled, then grew into one hazy shape which lengthened and solidified as the creature spread itself across the slab. It was nearly as long as me.